Watching a movie in IMAX 3D. These days, going to the movie theater is like riding the wildest rollercoaster at your local theme park. 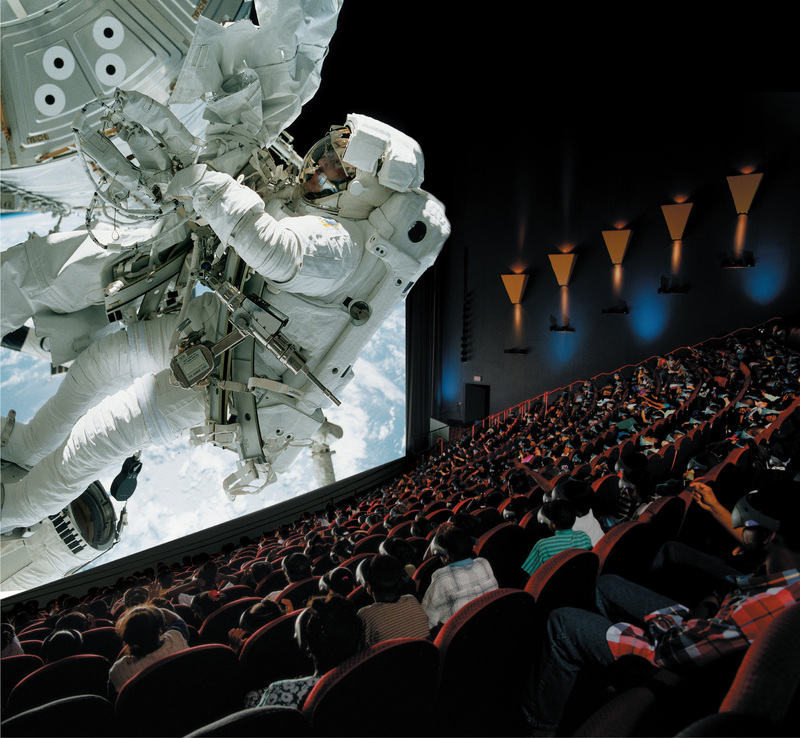 It can be an IMAX 3D, surround sound, vibrating seat experience that makes you feel like you’re living the actual movie. As the entertainment industry evolves towards more intense, realistic cinematic experiences, scientists are following a similar path towards 3D technologies that will improve stem cell-based therapies for biomedical applications. One such technology is called a hydrogel. Hydrogels are biological materials made of either synthetic polymers or natural molecules that scientists use to simulate the native environment in which cells and tissues develop. Growing stem cells on a flat surface, such as a culture dish, is like watching a movie in a standard, less immersive 2D theater – the stem cells aren’t in their typical 3D environment where they receive biochemical and physical cues to develop into the appropriate cell types of the tissue they are destined to become. With hydrogels, scientists can more closely mimic a stem cell’s natural environment, or what is called the “stem cell niche”. A lot of research has been dedicated towards fine-tuning hydrogels in a way that can control how stem cells behave and mature. We’ve blogged on this topic previously, and today we bring you an update on a new type of hydrogel that improves upon current technologies. Scientists from The Hong Kong University of Science and Technology created photo-responsive or light-sensitive hydrogels that they used to grow human mesenchymal stem cells in 3D cultures. These hydrogels contain a vitamin B12-dependent, photo-responsive protein called CarHC. In the dark, coenzyme B12 binds to CarHC and triggers the protein to self-assemble into polymers that create an elastic hydrogel structure. When exposed to light, B12 is absorbed and can no longer bind CarHC, causing the hydrogel structure to dissolve into a liquid solution. 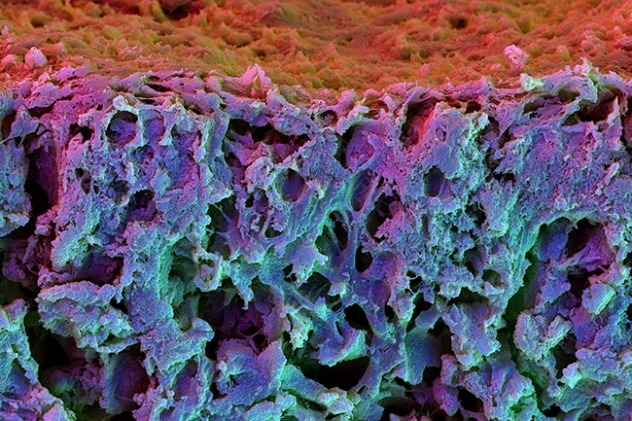 A hydrogel containing mesenchymal stem cells. (Image courtesy of Harvard Paulson School). Sun’s team is one of the first to report the development of photo-sensitive “smart” hydrogels for stem cell research applications. Looking forward, Sun believes that their technology will be useful for making “tunable materials” that will aid in the development of stem cell-based therapies.